Maryland RBI players made a mark in 2016 summer collegiate league baseball. 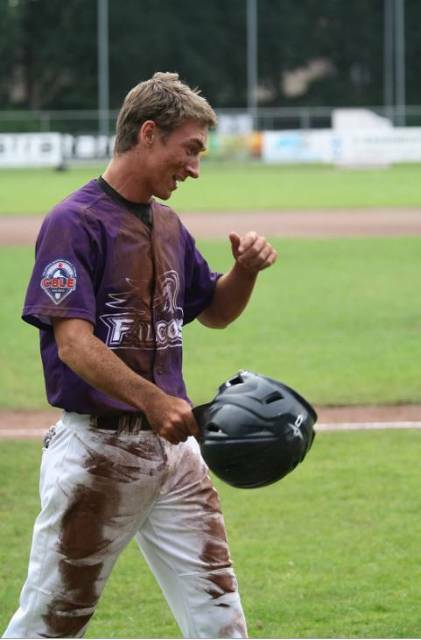 Playing for the Sant Boi Barcelona Falcons of the Collegiate Baseball League Europe (CBLE) in the UK, France, Spain, and the Netherlands, Maryland RBI’s Jake Fedorczyk was the unanimous selection voted by the league’s coaches as catcher for the CBLE Western Division All-Star team. Fedorczyk (UMBC) hit .300 with four RBIs and was also selected by the league as the Player of the Game once during the season. Two Maryland RBI alumni joined him on the All-Star team: RHP Brandyn Vogtsberger and SS Brandon Snow. 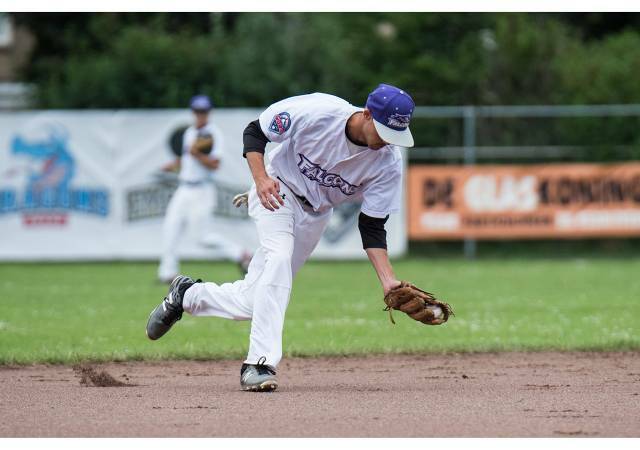 In addition to Sant Boi Barcelona Most Valuable Pitcher, Vogtsberger (Huntingtown HS/Md. 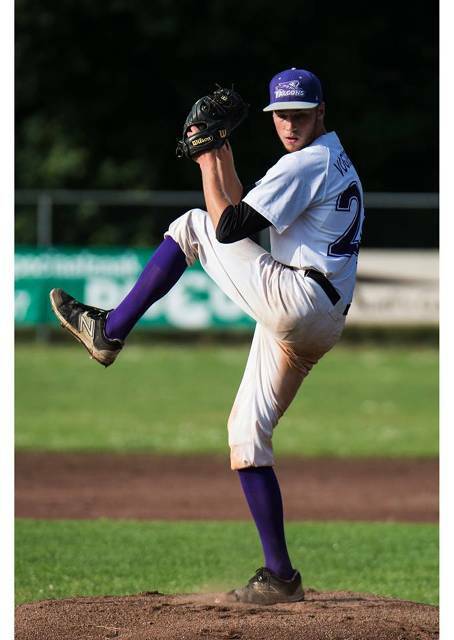 ), committed to NCAA Division I Towson University, was named the league’s overall Most Valuable Pitcher (19 2/3 IP, 14 H, 2 R, 2 ER, 5 BB, 11 K, 4-0 W-L, 0.71 ERA). He was also selected by the league as the Player of the Game twice during the season. Snow (Northern HS/Md. ), NCAA Division III Eastern University (Pa.) incoming transfer from Farmingdale State University (NY), was also named Sant Boi Barcelona’s Offensive MVP. His slash line of .359/.509/.462 and four doubles, seven RBIs, 10 walks, four steals, and 12 runs scored led the Falcons attack. Alum Jimmie Gentry (2B, Northern HS/Md. 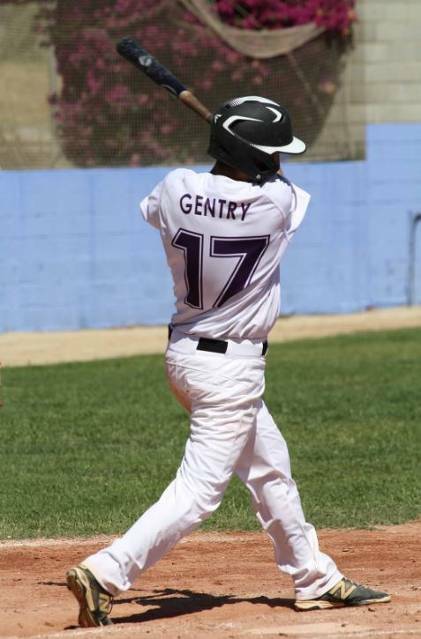 ), committed to NCAA Division III Albright College (Pa.), led Sant Boi Barcelona in hitting with a .383 batting average. 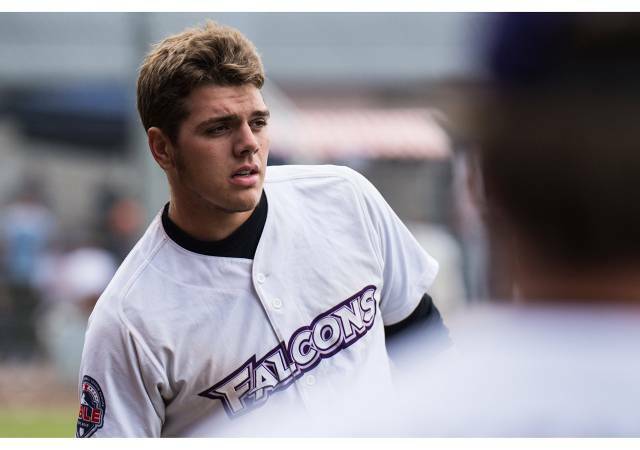 He led the league in hits (18) and contributed three doubles, four RBIs, four sacrifices, and two steals to the Falcons output. Maryland RBI centerfielder Connor Graham (Northern HS/Md. ), committed to NCAA Division III Virginia Wesleyan College, led Sant Boi Barcelona in runs scored setting a new club record with 15. Playing league-leading Gold Glove caliber defense, Fedorczyk and Eastern University commit Mac McGrath led CBLE catchers (.986) and outfielders (1.000) in fielding percentage, respectively. 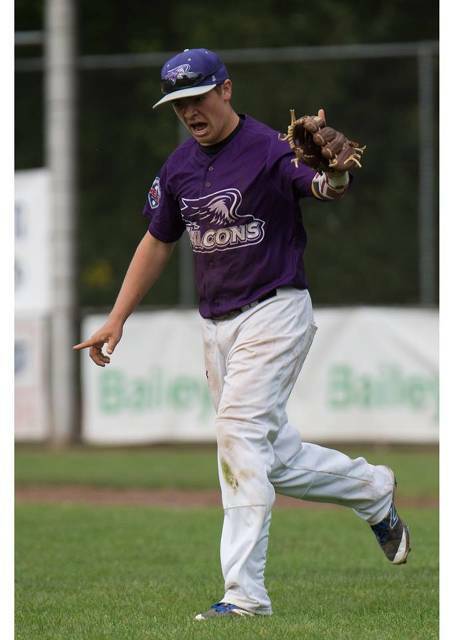 3B CJ Cummings (University of Mary Washington) led CBLE third basemen in fielding percentage (.929), and earned the Falcon Award for the player who best exemplifies the character, spirit, dedication, hard work, and enthusiasm for Sant Boi Barcelona Falcons baseball. Anne Arundel Community College (Md.) 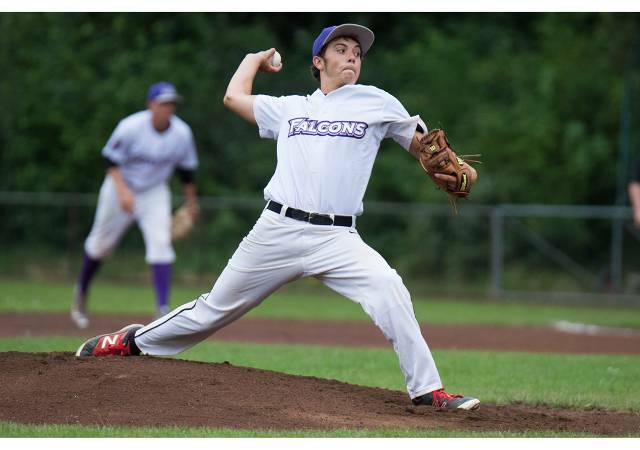 commit RHP Dominic Stanbery (15 IP, 18 H, 2 R, 2 ER, 7 BB, 9 K, 2-0 W-L, 1 Save, 0.93 ERA) received the True Grit Award given to a Falcon team member that best demonstrates the qualities of courage, determination and perseverance. Coach Cummings was voted the Coach of the Year among the coaching staff. 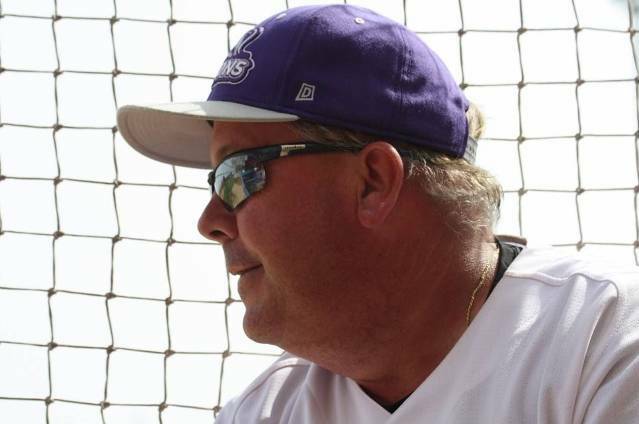 Maryland RBI coaches Mike Graham, Chris Cummings and Jim Hoyer were named the Western Division All-Star team’s coaches.